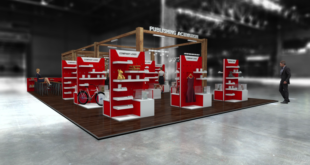 Bikes and accessories line will launch at Eurobike trade show later this month. Team Sky has joined forces with Frog Bikes for the launch of a new children’s bike and accessories range. Sister title, Bikebiz, has reported that the new line will be available from the autumn, with prices ranging from £100 up to £450. The Team Sky Kids’ Bike range is suitable for between ages two and 14 and includes a balance bike, first pedal bike and a variety of sizes in hybrid and road bikes. Each bike in the range includes typical Frog Bike features – lightweight frame and componentry designed specifically for the younger rider. The range also carries the iconic Team Sky blue line. Joel Keoghan, head of brand at Team Sky, commented: "From the start of Team Sky one of our main ambitions was to help inspire more people, of all ages and abilities, to get on their bikes and enjoy cycling. "The exciting next step for us is to work closely with Frog to help create the new range of Team Sky Kids’ Bikes to encourage the next generation of cyclists to get out there and enjoy the freedom of cycling." Jerry Lawson from Frog Bikes added: "We are dedicated to making cycling fun and accessible for children of all ages, so we’re over the moon to be collaborating with Team Sky."